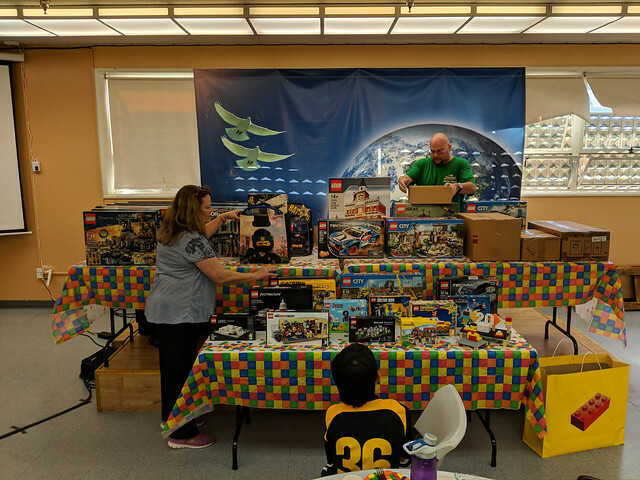 We had the 20th Anniversary meeting/party of BayLUG (Bay Area LEGO Users Group) in San Leandro on October 6th, 2018. 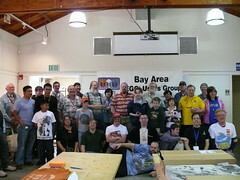 We celebrated 10 years of the Bay Area LEGO Users’ Group on Sunday, October 12. The club was founded on October 10, 1998 after LEGO came to San Francisco on a Truck Tour. At the meeting we had a lot of schmoozing, showing-off of models, snacking, speech-giving, and prize-winning. If you enjoy any of those, you should come to our 20th Anniversary Meeting in 2018. Or one of our regular meetings, where we usually have at least the schmoozing if not the other stuff. Enjoy the photos on Flickr (slideshow). I also shot a bunch of video footage, which hopefully I can edit into something appropriate for LAMLtv or maybe I’ll just put it on YouTube myself. Either way, I’ll blog about it here when it’s up.